Today was beautiful. The sun shone all day and the world seemed a more cheerful place as everyone stopped to enjoy the fresh, spring air and the warmth on their faces. I spent the afternoon reading in the sunshine after gathering a bagful of spring delights. This evening has been both productive and fun as I’ve whipped up some more goodies for the medicine cabinet accompanied by my trusty familiar. 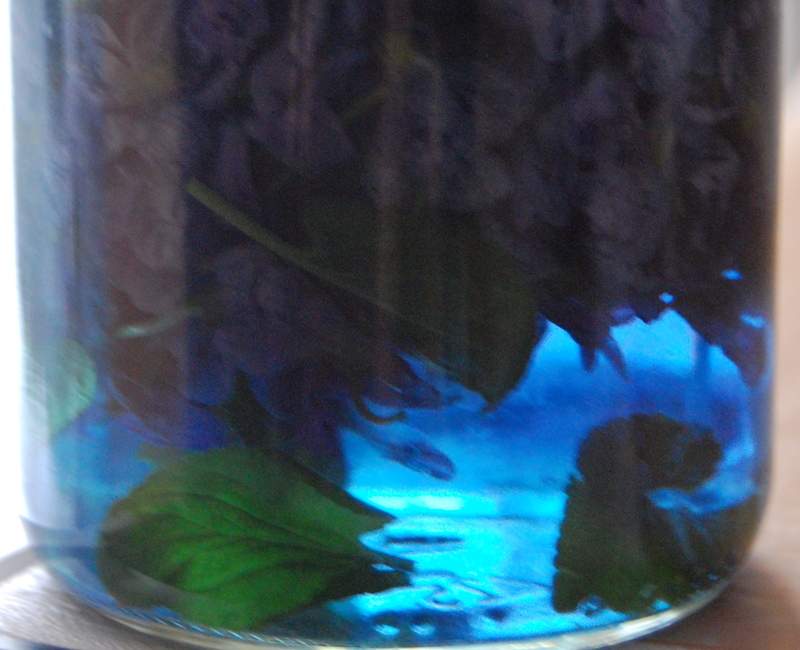 The infusion for the syrup yielded the most beautiful coloured liquid. And the oil also looks promising. I used sweet almond oil as the base as its fairly light and therefore good for making creams. Also it doesn’t have a strong smell like olive and unrefined sunflower do. 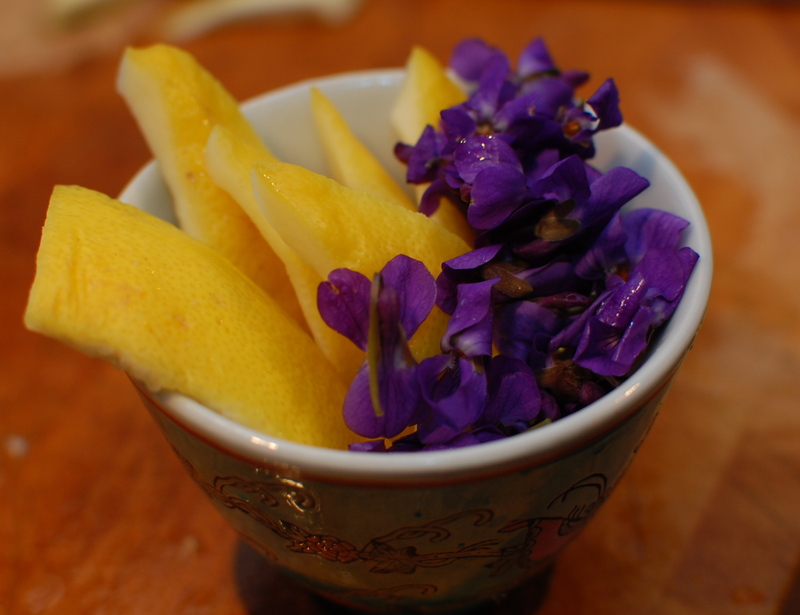 I also made a delightful cleansing and cooling tea with lemon peel and viola flowers. 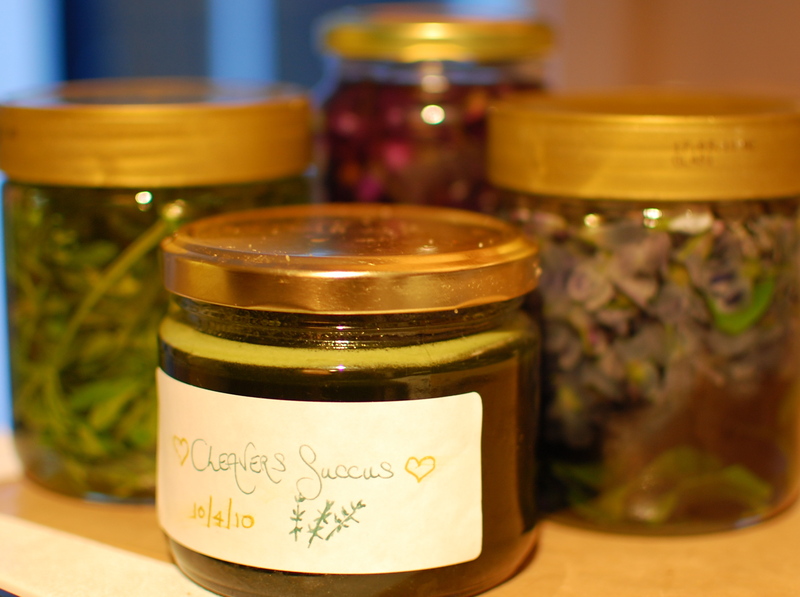 Cleavers were also out in force, vital and green, so I picked a bagful, enough to make a vinegar, the succus that I mentioned in my previous post on Cleavers and an extra few to add to a green juice to revive us when we got in. The succus is just divine. Often, when you mix two flavours, one will predominate but this is an exact mix of the grassy green, cleansing taste of cleavers and the sweet earthiness of honey. The colour is also incredible, a deep, emerald green that reminds you of the forests where this remedy originates. I have heard that the placebo effect accounts for something like 40% of the healing effects of all medicines. If this is true I think it must be especially so for medicines you make yourself. The simple pleasure and creative joy engendered by this most vital of skills must be half the goodness of the finished remedies as they are full to the brim of gratitude for the healing potential of nature and deep love for those you wish to share it with. 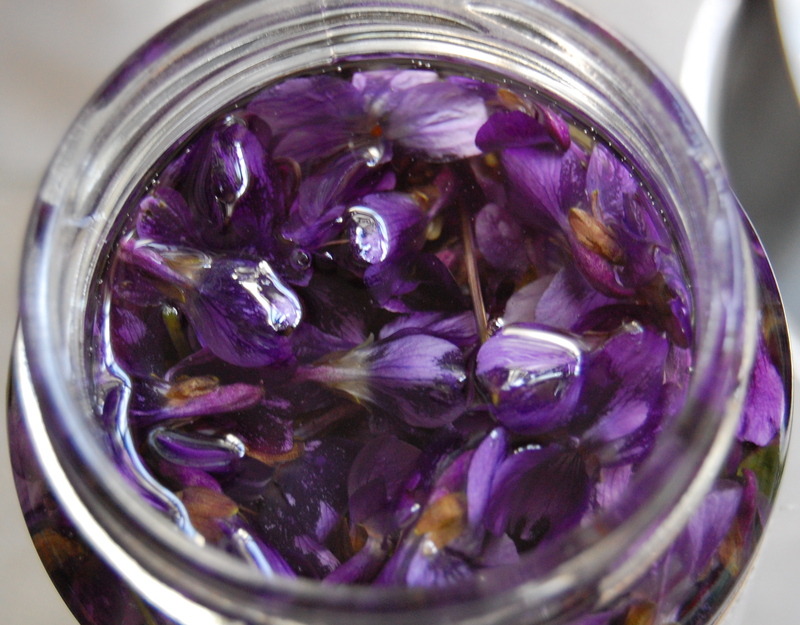 I would love to ask you, what can i do with dried chamomile? i just bought 200 grams of it and now iam stuck with what i can do with it!! – is it ok to make an infusion to drink? an overnight infusion? will that be too strong? 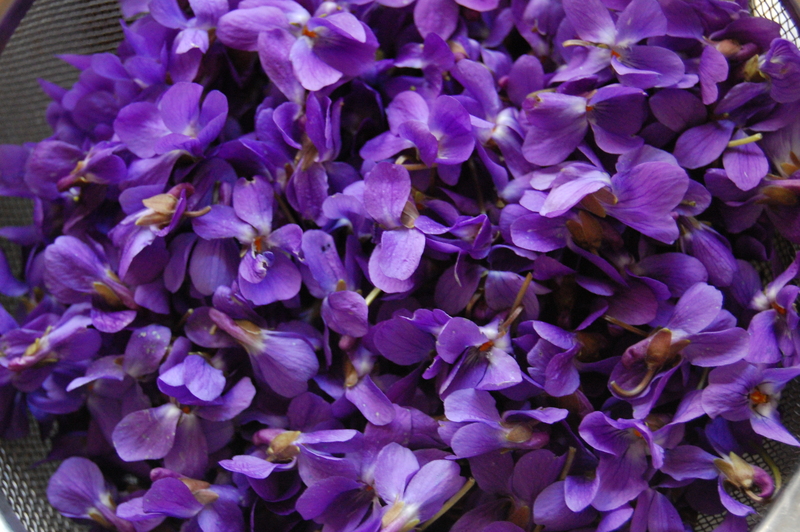 – i have thought of infusing it in sweet almond oil – but then doing what with it? – do you have any ideas how i can incoporate it in drinks or smoothies or skin care??? I met you at the trade show. I am adding to your blog I hope you add me to yours and subscribe. Also can I have your email address?